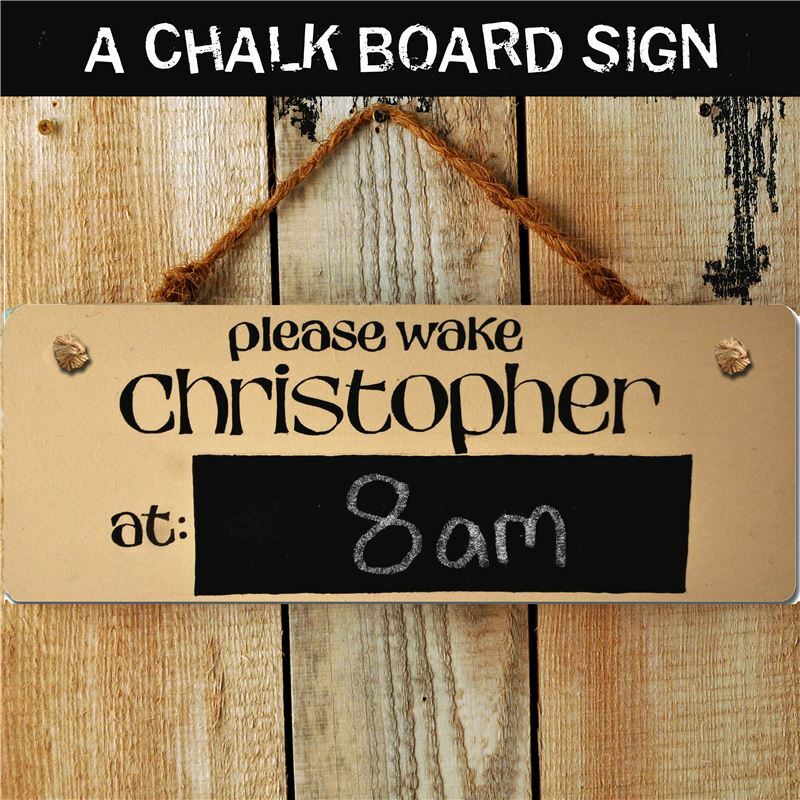 This personalised hand painted door sign with a chalk board would make an ideal gift for any teenager who needs to be prised out of bed in the mornings. Our artists can hand paint the name of your choice on the sign, please just let us know the name when you place your order. The door hanger is made of wood and measures 9.5cm high and 24.5cm in length. A rope is strung through two holes at the top so it can be hung.